I’m so excited to announce that I have contributed to another article for SheFinds.com. Yesterday’s article was “11 Ways To Impress Your Wedding Guests“. 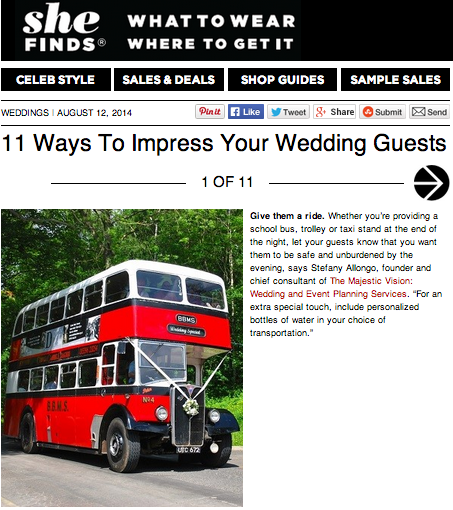 The article is exactly what the title implies – 11 tips on how to impress your wedding guests. My advise is Tip 1, Tip 2 and Tip 4. Thank you to Linda over at SheFinds.com for the opportunity to contribute.